Conferences can act as a valuable promotional platform in today’s economy, creating micro marketplaces where delegates can meet, make new contacts and do business. Meeting face to face can prove to be invaluable when developing new clients and conferences allow you to meet multiple potential clients under one roof, saving the time and money spent organising and travelling to individual meetings. Face to face contact allows sponsors and exhibitors to relate directly with their target audience, in an environment relevant for showcasing their products, services and expertise. 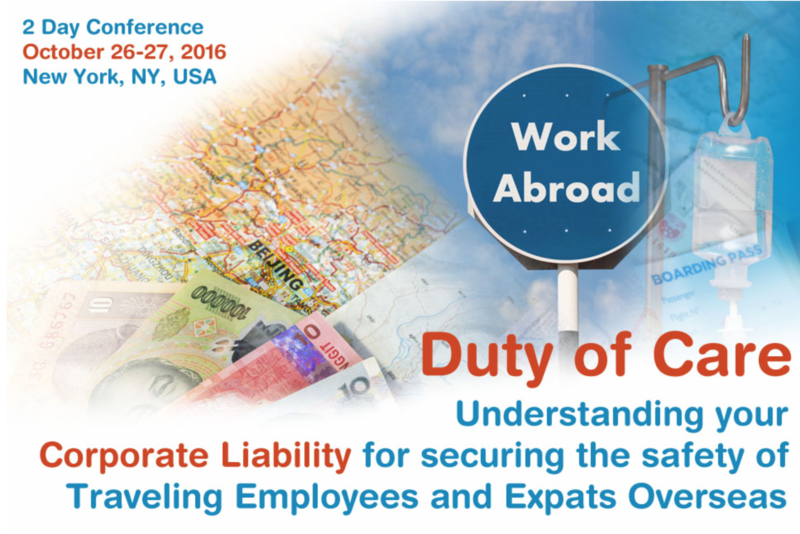 If you would like to be a Sponsor for Duty of Care Conference 2016 at NYC, then please fill out the form below. We will contact you shortly with sponsor packages.